HOME CURRENT ISSUE Business Is investing in Japan Post Office smart move? Is investing in Japan Post Office smart move? Shares in Japan Post went public on Nov. 3 last year with the nation’s largest I.P.O. If you ever need to start a bank account in Japan, one of the most convenient places to do this is the Japan Post Office. The Japan Post Office is a Jack-of-all-trades business. They offer postal service, bank services as well as sell insurance. The Japan Post Co. is the government officials’ ‘go-to’ business whenever important national projects need to be funded; be it a bullet train, aid for struggling small businesses or very recently, to rebuild the areas devastated by the earthquake and the tsunami. The debate for privatization of the Japan Post Co. has been making the rounds for over 10 years. Ever since I moved to Japan, the intention has ultimately been to issue stock in order to raise funds. 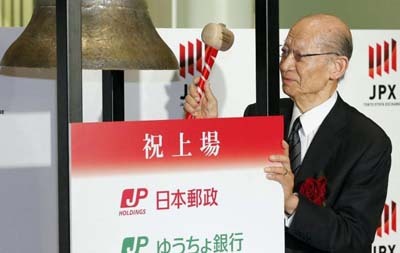 On Nov. 3, Japan had it’s largest stock issuing extravaganza with the Initial Public Offering of the Japan Post Co. The money raised by the I.P.O. will be reallocated to aid rebuilding of the communities ravaged by the 2011 tsunami and earthquake. Investors who bought into the Japan Post I.P.O. 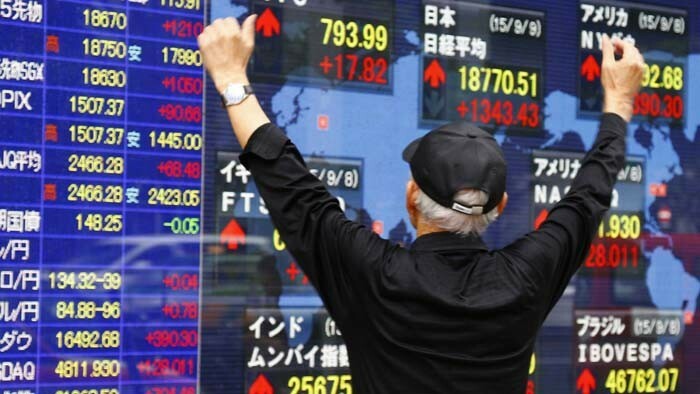 had reson to rejoice as the price went from the initial ¥1,400 per share to ¥1,900 per share in three days. When the Japan Post issues stock in the Japan Post Co., this basically means that the government of Japan is no longer the sole owner of it’s own Post Office, and that individual share holders own a large percentage of it. The I.P.O. 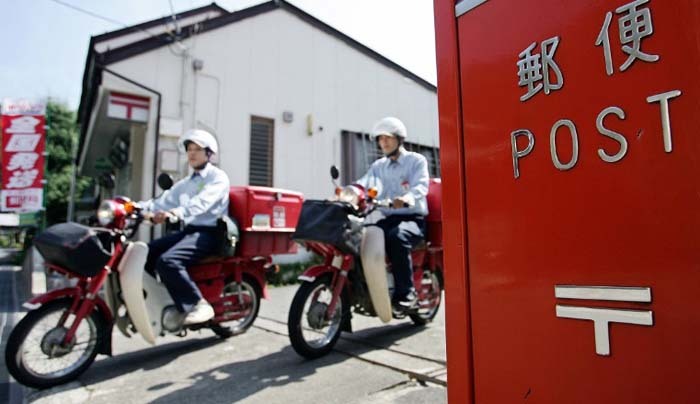 of the Japan Post Co. has sparked interest domestically among Japan’s investors to buy the issued stock from the company. This money would normally have been money saved in the banks as Japanese domestic spending is low, and this is a nation of savers, not spenders. Those who purchased the stock on the first day of the issue would have purchased it at ¥1400 per share. Within three days, the stock was already reaching ¥1900, earning them a healthy profit in a very short time. Trading in Japan Post shares began with the I.P.O. on Nov. 3, 2015. It is hard to imagine that the price of the shares would decline significantly since Japan Post Co. has a viable domestic strategy with an interest in taking advantage of the opportunity to expand with an overseas logistics operation. The government hopes offering of the shares, many of them sold to Japanese investors, will encourage households to shift financial assets that have been largely dormant in bank deposits into more lucrative stocks, thus contributing effectively to national economic growth. Historically, Japan has had its share of horror stories that could be enough to frighten off some of the speculative investors hoping to make a quick buck. In the past, Japan had issued shares of the national communications company, NTT, at the height of an inflated bubble of Japan’s economy. The price of the shares nearly tripled from the initial I.P.O. but then began to tumble as the bubble burst, which left many investors financially stranded. Overall, the I.P.O. has proven to be a success with the added benefit of knowing that the money earned will be used to help revitalize the economy and help their own countrymen. Speculators worldwide who risked and bought the stock on the first day are being rewarded for having confidence in this investment. On Wall Street, Japan was put on the map for November as having the hottest I.P.O. All of this renewed enthusiasm brought vast wealth to those who were aware of the investment environment and willing to take the financial plunge.